Upgraded Two Bedroom & Loft & 3 Bath town-home located walking distance to the Canyon Lodge Ski Lift Area in Mammoth Lakes. Sleeps up to 8. Master bedroom has 1 queen bed, Second bedroom has 2 twin beds, the loft has 2 sets of bunk-beds & 1 twin bed. Both bottom bunks are fulls. Sofa Bed in Living Room., 4 TVs each with a VCR/DVD player. Propane Fireplace. Heated tile floors in bath. Granite counter tops in kitchen & baths. Stainless steel appliances in kitchen & upgraded cherry wood cabinets. Wireless High Speed Internet in the unit. Upscale amenities (including towels, soaps, shampoo & lotion) provided in all the bathrooms. (1300 sq. ft.) Phone in unit 760-934-5077 The unit is 3 levels...you enter from an enclosed mudroom. The two bedrooms & 2 full baths are located on the first floor, the second floor is the living room, kitchen, dining room and the third floor is the loft. The third full bath is located off the stairwell halfway up to the loft and the loft is enclosed except for the stairwell area. There are 2 outside parking spaces available. Chamonix Recreation room with large screen TV, reading area, ping pong, foosball, and business center with fax, copier, computers w/ internet and laptop hook-up. Sauna, hydro spas, seasonal/summer swimming pool & BBQ area. Coin-operated laundry facilities located in the common area near the office. COMPLIMENTARY INTERNET and CABLE TV are provided, however NO REFUNDS will be given for connectivity problems or Internet failure. Propane fireplace. Not Wood-Burning. TOT LICENSE 1968-CX95. This is an amazing condo and location! Totally walking distance from canyon and an adorable place to stay with friends and family! I would highly recommend and cant wait to go back! We absolutely loved our stay there. Thank you. Chamonix #95 has an amazing location if youre skiing out of Canyon, and there was plenty of room for us and our three kids to sleep and lounge when we werent on the mountain. We also hosted another family of five for dinner, and it was a great space for that - and all the kids enjoyed the Rec room while we cooked. Great location steps away from Canyon Lodge! Perfect place for two families (8 people, four kids) to stay and ski. The loft was perfect for the kids (two sets of bunk beds) and each set of parents had their own bedroom with en suite bathroom. The common space was perfect for eating, playing games, and relaxing, and the kitchen was exceedingly well appointed (I think we counted at least 10 bottle openers!) The walls are a little thin, so we did need to ask our neighbors to keep it down a couple of times, but thats our only complaint. Would definitely recommend for anyone who doesnt want to deal with the schlep of driving/shuttle/gondola to the lifts! Great location and beautiful home! Wonderful home and great location thank you!! We stayed at this place during memorial weekend for a ski trip, it was pretty awesome. The best things about this place were its location, an awesomely stocked kitchen and spacious rooms. Overall it was a decent place cuz the location and really good price. Everythings ok, unit was clean,beautiful,comfortable,spacious and well equipped. The unit was kind of hard to find.But in totality our stay was great and I had a great time with my family. Definitely I will recommend it to our friends and family. Group of 6 Co-Workers had a great time staying here. Very up scale, very impressive. 4/23/17: This location was very economic and is located perfectly to come off the slopes and take a break. Such a great place! Walking distance (literally 1 minute walk) to Canyon Lodge and the village gondola. Very spacious and offers everything youll need for a ski trip. Some of the features include a mud room for your gear, hot showers, jacuzzi, full kitchen, and gas fireplace. Perfect spot for a ski trip or summer vacation. Thank you for a great trip, I will definitely stay at Chamonix again! We absolutely loved staying at this location! We couldnt ask for a more comfortable and convenient location. a big THANK YOU! 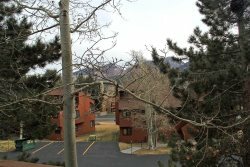 Walking distance to Canyon Lodge , comfortable, clean, and cozy. 8 of us loved staying at this beautiful place! My friends an I had a great time at the condo -- the accommodations were spacious and well equipped, and we enjoyed the fireplace and other amenities. Definitely a great choice for a Mammoth weekend. Thank you. Everything was great. We have stayed in CX95 every time we have been to Mammoth (10+ times) and it has become a tradition for our Company.